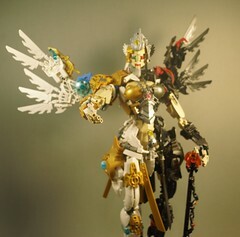 Edit: This MOC got third place in BBC#71! It's my highest ever standing in a BBC! Thanks to everyone for your votes!!!!! German folklore is rich with tales of horrors, whose marks have driven entire genres of books and literary productions. And we all know of a horseman who rides without a head, searching for mindless vengeance, and his lost skull. So it brings me great joy to have built this iconic character, and posted it for your eyes to see! I've built several horses over the years, the most recent of which was in 2012. I think this is so far my best in terms of scale, execution, and dare I say photography as well! The picture, while a bit too grainy to my liking, has come out rather nicely. A lot of credit for this build goes to Luke Skywalker and Darth Vader, without whom some of the details would not have been possible. Edited by Mohamed Marei, Nov 16 2015 - 09:52 AM. Really nice work! As your third place finish shows, this is a very well done MOC! 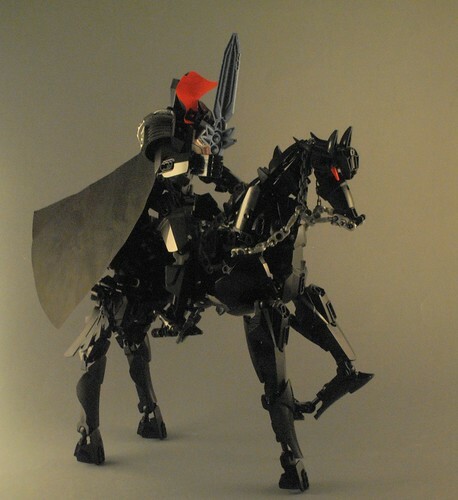 I agree that the horse is very good; you chose good pieces for the legs, hooves, and body, and the head is fittingly menacing! The horse and the horseman fit together well, with just enough splashes of orange to alleviate the dark color scheme. I think it's cool that the pieces used for the hooves probably can't usually be used as feet, but for a horse, they're perfect! Great job and congratulations on third place! Hakuna Vakama Animation | Macku Goes Missing | In the Ice | The 1000 Word 2001 Poem | Kopaka the Toa | Honest Bionicle Trailers!